Spider-Man: Edge of Time will have the wall-crawler swinging through time to save his own skin. Activision has officially announced a new Spider-Man game coming out of its Beenox studio called Spider-Man: Edge of Time. The game will see both present and future versions of Spider-Man battling to protect the timestream, and the life of Peter Parker himself. As with Beenox's last Spider-Man title, Spider-Man: Shattered Dimensions, Edge of Time also features the futuristic Spider-Man 2099. Players will switch between the current day Amazing Spider-Man and Spider-Man 2099 to prevent a "catastrophic future" brought about by the untimely death of Peter Parker. Activision touts Edge of Time's "cause-and-effect" gameplay, which will see players' actions have an impact on the future. Examples haven't been provided yet, but presumably the current day defeat of a super villain or saving a civilian could help or harm Spider-Man 2099 in unexpected ways. Beenox is working with longtime comic book scribe Peter David on Edge of Time's storyline, who is also the co-creator of Spider-Man 2099. More information will be available at a WonderCon 2011 panel on April 2, 2011, so hopefully some of it will leak outside of the convention's walls. 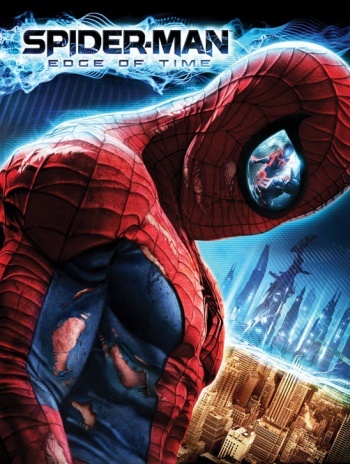 Spider-Man: Edge of Time is expected for release in fall 2011.